Linking up to ArtsyGirl Connection. Theme: Sunset. Taken with my iPhone, enhanced with Phototreats. This is my street. I live down there on the right. 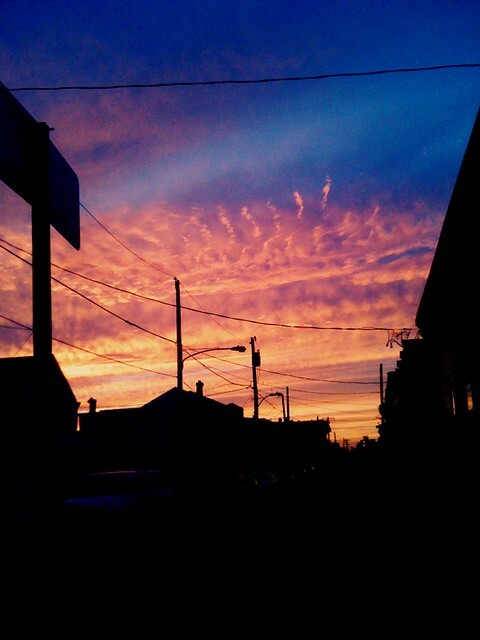 Really though, the sky was beautiful the night of July 4.
gorgeous cellphone photo! beautiful colors!